Outstanding Rugsandbeyond rug handmade in 100% wool in superior quality. Bright, vibrant colors and unique Baluch pattern makes it a one of a kind piece. 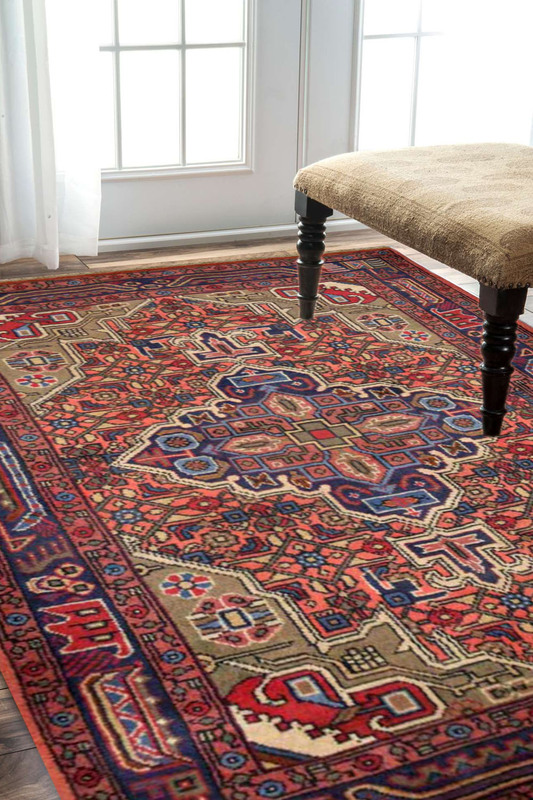 - Beautiful, unique Afghan rug in electrifying colors, handmade in premium wool. - Primary colors are maroon, pale green and rust with sprinkles of sky blue, ivory and brown. - Ideal for a living room with subtle interiors.